When it comes to '80s pop rock, it's impossible not to know The Pretenders. With hits like "I'll Stand By You", "Don't Get Me Wrong", and "Brass in Pocket", the English American band are icons in their own right. That's why, when we heard they would performing a set at ACL Live, we couldn't resist checking them out in concert. 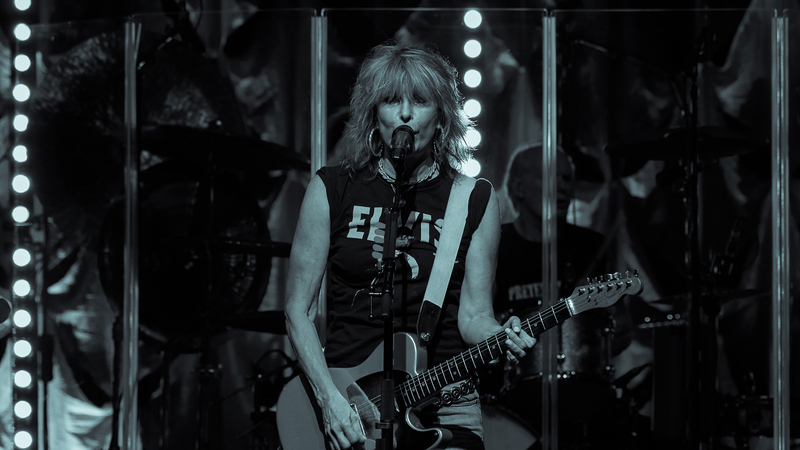 On Halloween night, frontwoman and founding member, Chrissie Hynde, came out donning an Elvis tee that we were insanely jealous of, just after a set by local favorite, Emily Wolfe. With a new studio album released just a week before their Austin, TX set, plus three live albums under their belt, we felt totally blessed to see the band rock out as part of their US tour this fall. Check out our photos below to see what it might be like to catch them live on their remaining dates in Durham, Red Bank, Akron, and Portland. Bonus: They're performing with Stevie Nicks in Las Vegas, NV on December 17—squee!